WORLD-famous Gresley ‘A3’ No. 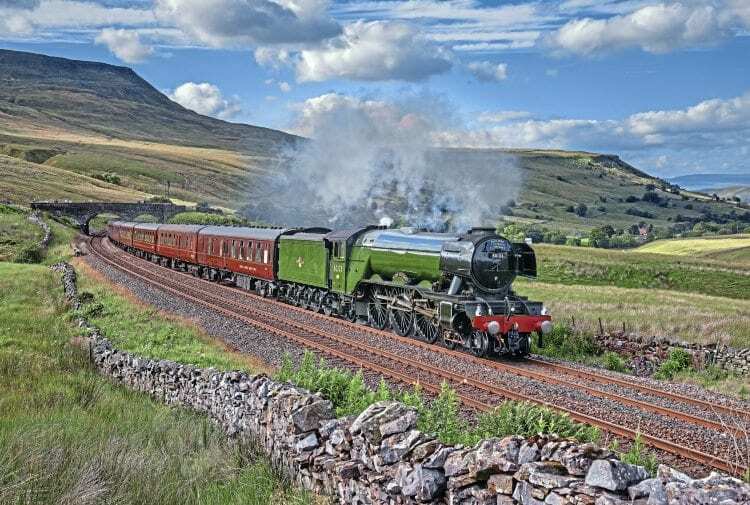 60103 Flying Scotsman will be visiting both the East Lancashire Railway (ELR) and Nene Valley Railway (NVR) later this year as the National Railway Museum loco begins a new six-year spell under the custodianship of Ian Riley. The close relationship between Heywood-based Riley & Son (E) and the ELR will naturally reap rewards for the railway, with Flying Scotsman set to make a series of static and active visits during the course of the year. The first of these was scheduled for March 10-11, with further dates to be announced later. It will mark the start of an exceptionally busy period for the ELR, coming just weeks before the visit of ‘A1’ No. 60163 Tornado on March 29-April 2. After limping to Wansford the ‘A3’ spent much of the next week on jacks while its centre driving wheel set was sent to Heywood for attention.